Many researchers feel that it will be easier to protect a healthy brain rather than to try to repair brain damage once it becomes extensive. Our UCLA research team has thus focused on treating people with mild age-related memory issues who were at risk for developing Alzheimer’s dementia in the future. Previous research suggested that anti-inflammatory medicines might benefit mild memory issues, but widespread use of anti-inflammatory drugs could lead to many side effects. Also, some studies indicate that anti-inflammatory drugs could actually worsen memory in patients with dementia. In my pursuit of a safe and effective way to help people concerned about their mild, age-related cognitive slips, I decided to study curcumin, a component of the spice turmeric. Curcumin has been used as a health remedy for thousands of years, and previous research pointed to several of its brain-protective properties. In searching for treatments for any disease, scientists look for a variety of clues that a compound may offer a benefit. One initial clue that steered our team towards the curcumin spice was an earlier observation that the prevalence of Alzheimer’s disease among people in their 70s in India was four times lower than the rate for 70-year-olds in the United States. 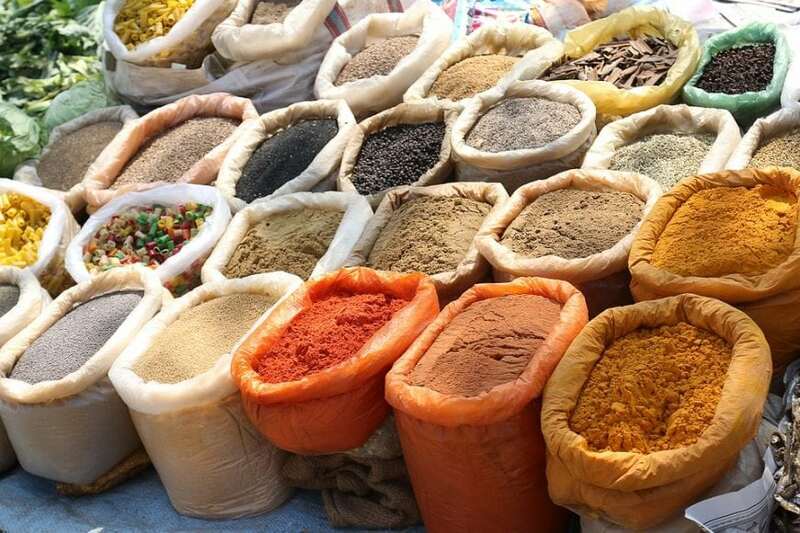 That observation made investigators wonder whether ingredients of the spicy foods typically consumed by people in India could account for these differences. A group of epidemiologists in Singapore decided to try to follow up on this association between cognitive abilities and consumption of spicy food. The investigators performed memory tests in over 1,000 Asian volunteers who did not have dementia and found that those who consumed curry occasionally, often, or very often had significantly better memory scores than volunteers who never or rarely consumed curry. These results supported the theory that an ingredient in curry spice may protect memory abilities in older adults. However, it was not definitive proof, and systematic research comparing spice consumption with some kind of placebo-controlled intervention was needed to prove a cause-and-effect relationship. Curcumin is a compound extracted from the spice turmeric, which is an Asian herb that gives curry its yellow color. Because only about five percent of turmeric comprises curcumin, it would be necessary to consume large quantities of any powdered turmeric root product to consume beneficial amounts of curcumin. Curcumin has been used in India for thousands of years as a food flavoring and preservative, as well as an herbal remedy for arthritis, cancer, cardiac disease, and other medical conditions. Curcumin could protect the brain from cognitive decline because it disrupts inflammation and oxidative stress. Previous research also indicates that it may interfere with the accumulation of the abnormal amyloid and tau proteins that are found in the brains of patients with Alzheimer’s disease. A major limitation of many supplements like curcumin is that they are lipophilic, which means they are not soluble in water and poorly absorbed into the bloodstream after ingestion. Most forms of curcumin supplements probably have minimal, if any, therapeutic effects because they are not well absorbed from the gut. After reviewing the scientific literature and consulting with experts throughout the world, I learned about a form of curcumin that had high bioavailability. Theracurmin® (manufactured by Theravalues Corporation in Tokyo, Japan) undergoes a manufacturing process that dramatically increases its availability in the body, which may explain why studies of Theracurmin in both animal and humans have demonstrated therapeutic efficacy compared with other preparations. To produce Theracurmin, the original curcumin is first made soluble within a vegetable gum derived from the bark of a tree native to India. The curcumin-gum mixture is then ground to produce microscopic particles that are 100 times smaller than the particles in regular curcumin powder. A homogenizer then makes the substance uniform and produces the final water-soluble product. Theracurmin’s reduced particle size and heightened solubility ensure both its absorption into the bloodstream and heightened therapeutic effect. Prior research had demonstrated Theracurmin’s ability to be absorbed from the gut, but our research team wanted to confirm its bioavailability at the dose we planned to test (90 milligrams). We assessed blood levels of curcumin at regular intervals for several hours after 10 healthy volunteers ingested this amount and found that not only was Theracurmin bioavailable, but its blood levels were much higher in comparison with other formulations that we tested. Despite curcumin’s potential brain health beneﬁts, earlier placebo-controlled studies in humans have yielded mixed results. We suspected that a major limitation of this earlier research was that it focused on patients who were already suffering from dementia, which may be too late in the course of neurodegeneration to provide cognitive benefits. Although laboratory and animal studies indicate curcumin’s potential effect on amyloid and tau, earlier human studies of curcumin had not monitored its effects on the accumulation of these abnormal protein deposits that are present in the brains of Alzheimer’s patients. Also, prior studies were short-term in duration, but most people take supplements daily for many months or years. To address these shortcomings of previous research, we chose to study people with mild memory complaints over an 18-month period. In most of the subjects, we also assessed curcumin’s impact on amyloid and tau using brain PET scanning. We recruited relatively healthy middle-aged and older adults who were between the ages of 50 and 90 years and had mild memory complaints, then randomized them to receive either an inactive placebo or Theracurmin (90 milligrams) twice daily (i.e., 180 milligrams Theracurmin/day) for 18 months. Neither the study personnel nor the research volunteers knew who received placebo and who received Theracurmin (i.e., double-blind, placebo-controlled design). All research volunteers received standardized cognitive assessments at the start of the study and at six-month intervals. The results of this study were published in the American Journal of Geriatric Psychiatry. As reported, we found that of the 40 research volunteers who completed the study, those receiving daily Theracurmin experienced significant improvements in their memory and attention abilities, while the subjects who received placebo did not. The curcumin group also had mild improvements in mood. The brain PET scans of the curcumin group, compared with the placebo group, showed significantly less amyloid and tau signals in the amygdala and hypothalamus, brain regions that control several memory and emotional functions. Subjects experienced minimal, if any, side effects from Theracurmin consumption. These ﬁndings suggest that daily oral ingestion of this bioavailable and safe form of curcumin improves memory performance over an 18-month period in middle-aged and older people who have mild memory complaints associated with normal aging. Exactly how Theracurmin may exert its cognitive and possible mood effects is not certain, but may be due to its ability to reduce brain inﬂammation. Heightened inflammation in the brain has been linked to both Alzheimer disease and depression. It is also possible that curcumin’s benefits are related to lowering of brain amyloid and tau or its ability to diminish oxidative stress that contributes to Alzheimer’s disease. As our research team moves forward in this area, we plan to perform a follow-up study to replicate these findings in a larger sample and include some subjects with mild symptoms of depression to determine if some of the cognitive benefits of Theracurmin involve any potential antidepressant effect. This larger sample would allow us to hone in on whether these memory effects vary according to genetic risk for Alzheimer’s disease, specific age groups, or the extent of cognitive problems when beginning use of the supplement. Given the large number of people suffering from mild age-related memory complaints, our findings suggest that daily consumption of this relatively safe form of curcumin could provide meaningful cognitive benefits over the years. These findings are described in the article entitled Memory and Brain Amyloid and Tau Effects of a Bioavailable Form of Curcumin in Non-Demented Adults: A Double-Blind, Placebo-Controlled 18-Month Trial, recently published in the American Journal of Geriatric Psychiatry. This work was conducted by Gary W. Small, Prabha Siddarth, Zhaoping Li, Karen J. Miller, Linda Ercoli, Natacha D. Emerson, Jacqueline Martinez, Koon-Pong Wong, Jie Liu, David A. Merrill, Stephen T. Chen, Susanne M. Henning, Nagichettiar Satyamurthy, Sung-Cheng Huang, David Heber, and Jorge R. Barrio from the University of California, Los Angeles.